"I love teaching and helping student who are keen to make a difference. I also love being fully rewarded when I hear a student tell me they are no longer in pain and seeing students walk out of class with a huge grin and skip in their step! This is why I know I am in the best industry and at the right place now!" Sandhya (pronounced Sandeeya) grew up in Bath and moved to keynsham in 2011. Having practiced Hatha yoga since the age of 18 she have tons of experience.. Yoga classes help ease stiffness in her lower back and release tension in her shoulders caused by an injury and subsequently 2 car accidents. Sandhya has been part of This Girl Can - bringing yoga to schools and Universities, offers Yoga and Laughter Hen parties. Sandhya works in partnership with schools and charities in the area and is committed to improving the wellbeing, health and happiness of individuals. Sandhya ran her own business in holistic therapies for 4 years and facilitates Satsangs and yoga and Pilates classes, workshops, family yoga and events in Keynsham, Bristol, Stockwood Bath. 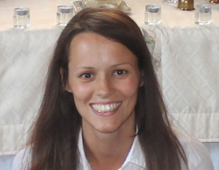 She is also co-ordinator for Integral Yoga Bristol . Accredited by Yoga Alliance USA; and registered in the UK through the Independent Yoga Network. Within Bath, Bristol and Somerset there are many Integral Yoga Teachers running classes ranging from beginners level to advanced, general yoga classes and also special classes for extra gentle yoga and 1:1 yoga classes.